Five years ago, Yusuke Umeda was in search of a media industry business model strong enough to survive a difficult time in journalism. Now the co-CEO and co-founder of Uzabase Inc. is trying to take the global lead in the industry with NewsPicks, a business news platform he created with a subscription-based model inspired by traditional newspapers. “The point of the model is that it can have a direct connection with readers who pay ¥4,000 to ¥5,000 for the value of content without relying on other companies to distribute it. It’s a strong model that has continued for over 100 years,” Umeda, 37, said in a recent interview with The Japan Times. “I wanted to build a similar business model, but with smartphones,” he said. 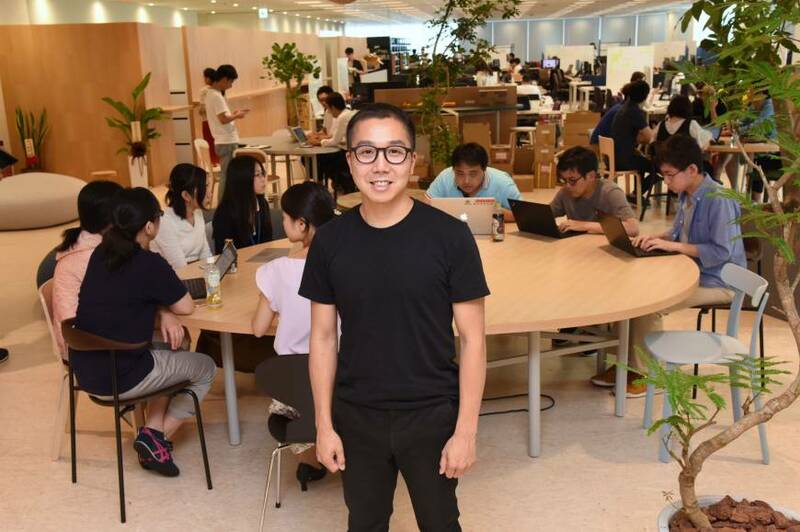 In an era when people naturally consume news online for free, NewsPicks Inc. stands out as a rare example of an internet-based company thriving on a model comprising three elements: a news aggregation platform, a social media community and original content. Uzabase, which owns and oversees the company, has about 240 employees and also runs the financial business-intelligence service Speeda. Tokyo-based Uzabase surprised the journalism world earlier this month when it announced the acquisition of U.S.-based business news website Quartz LLC from Atlantic Media for $75 million to $110 million, depending on Quartz’s performance for the full year. “Quartz has 20 million readers that perfectly fit NewsPicks’ target. This was something we desperately needed in order to expand our business overseas,” the former UBS investment banker said. With the acquisition, NewsPicks aims to become “the world’s most influential business media” outlet by picking up 1 million paid members and 10 million active monthly users in the next five years. Launched in 2013, NewsPicks has become popular in Japan as a social media-based outlet. It boasts more than 3 million registered users, including businesspeople, academics, journalists and other professionals. As a news aggregation platform, the NewsPicks app lets people share articles along with their opinions. Others can add their own views via discussion threads. Reading and commenting are free. But unlike many firms that rely on revenue from online ads, NewsPicks’ ad revenue comes from publishing sponsored articles. The company’s focus now is on how to increase paying subscribers, Umeda said. A “premium” member who pays ¥1,500 a month gets unlimited access to original NewsPicks articles, which can include in-depth analyses of certain business topics or exclusive interviews with leaders in various sectors. It also offers high-end, ¥5,000 “academia” memberships to those who want exclusive services, such as business seminars. Of its 3 million users, about 64,000 were paid subscribers as of March, it said. So far, Umeda’s strategy seems to be working, at least in Japan. NewsPicks’ ¥1.66 billion in revenue last year was 74 percent higher than in 2016, with 55 percent coming from ad revenue and 45 percent from subscriptions. The company aims to even out the ratio this year. With domestic success under his belt, Umeda is looking to expand the company’s footprint overseas. NewsPicks entered the U.S. market in May 2017 as a joint venture with Dow Jones & Co.
“We started as a news curation platform with a (social media) community, and it seems to be working very well so far. Our growth in the U.S. market has been twice as fast as the growth in Japan,” based on the number of daily active users over the first eight-month period since the app was launched in November, he said. “The final piece we needed was an ability to produce original content on which people want to spend money,” he said. That’s why the company moved to acquire Quartz earlier this month. Established in 2012, Quartz boasts a monthly readership of about 20 million people and has about 100 journalists reporting from around the world. 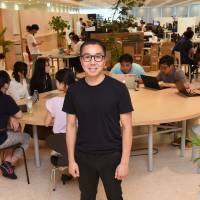 The outlet, popular with young business leaders, is known as one of the first online platforms to integrate mobile technology with quality business stories written by professional journalists. But Quartz’s revenue last year dropped to $27.6 million from $30 million in 2016, mostly due to a drop in ad revenue, according to Uzabase. Umeda said he first contacted Quartz in November, when the New-York based firm was trying to shift to a subscription model. First they started exploring the possibility of forming a partnership. But “as we continued to discuss the idea, we found that our vision and culture were a very good match. So I thought it would be better to come together,” Umeda said. “I am convinced that this business model will become the de facto standard of the media industry for the next generation. … That’s why we decided to boost our investment (overseas) all at once. For us, the next five years will be a period to spread our business model to all over the world,” he said. Umeda said no online-based media outlets in the U.S. have achieved the same level of success as NewsPicks’ subscription model, although some traditional behemoths including the New York Times and the Financial Times, which was acquired by Nikkei Inc. in 2015, are increasing subscriptions. The New York Times announced in February that its subscription revenue surpassed $1 billion last year, accounting for 60 percent of its total revenue. The FT meanwhile announced that digital subscriptions in 2017 rose 10 percent to 714,000, making up three-quarters of its paying audience. But the strength of NewsPicks lies in its robust, quality community of people willing to engage on a daily basis, Umeda said. “Our subscription rate can never be possible without the community,” he said. To build up the community, the company deploys influencers from various fields, including executives and academics, to be “pro pickers” tasked with posting comments from an expert’s point of view. It also asks readers to use their real names and affiliations upon registration to prevent trolling. A good community also motivates people to pay for access to original stories, he said. “If people like you or people you respect are recommending a certain story, you may also want to read it and join the conversation. It’s like suggesting a book to someone. You buy a book because someone endorses it. We need a community that recommends a news story,” he said. “I believe people’s fundamental desire is the same,” he said. “For us, we offer services to fulfill a desire for discovering new things and understanding difficult business news. I think this is no different in the U.S.,” he added. “Many people have an image that the U.S. market is so competitive and different from the domestic market that Japanese companies cannot be successful. But I don’t know where that image comes from,” he said, referring to such global successes as Pokemon and the Nintendo DS. “For now, I believe we can be successful as long as we do what we have done with confidence,” Umeda said. July 2013: Launch of service. September 2014: Begins distribution of original content in Japan. May 2017: Enters U.S. market via joint venture with Dow Jones & Co.
November 2017: Releases app in U.S.
July 2018: Acquires Quartz LLC from Atlantic Media.